Dear family, friends and loved ones everywhere. 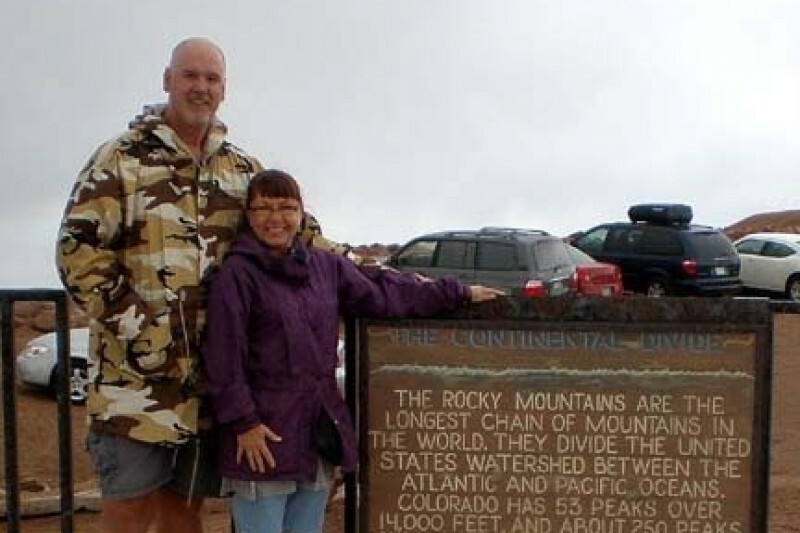 As most of you have been made aware of, Kevin and Karen Johansen (residence of Arvada Colorado) took their own lifes individualy although together the night of Wednesday, October 19th, 2016. The reason for this "gofundme" page is to assist with the high cost of funeral expences that have been left it the charge of their son, Keenan. As I'm certain you will understand, there is an immediate need of funds to finance Kevin and Karens cremations, additional funeral and extensive extranious costs. Personally, my life has been touched by too many suicides, and now i find myself and my family feeling the agony, dissappointment and void. Although family comes in many shapes and sizes, this time it's a sibling. My big brother and his beloved wife. to others a son/daughter, brother, sister, father, mother, uncle, great uncle, aunt, godfather, activist, entrepreneur, and mentor. Jodi, Kris, Jan and myself and countless neices, nephews, great neicies and nephews as well, yet most importantly his son Keenan. Please provide what you can to help out, know even simply keeping us in your thoughts means more than any dollar amount. To all those who have donated, thank you for your financial kindness and In keeping Kevin, Karen, Keenan and the families in your thoughts. At this time, Please STOP your donations. My intent was to close this account and send Keenan a certified check for the amount. That will no longer be. In time, Keenan will be able to access this money for his financial purpose. Please also note. there is confusion out there. This account was set up to assist Keenan. Not for Keenan to pay Kevin's landlord a portion or any of Kevin and Karen's debt. Withdraw your donations if you need, and know this account will sit until Keenan access the money. I want to say a big thank you to everyone who has donated to help Keenan so far at this point we are over our goal but every little bit helps. Please keep sharing the love. .......literally breathless. No words can express how I feel. I was truly honored to call Kevin a friend and to have coffee with him and just chat things big and small. He in every sense of the word was a gentle giant (not just becuase of his height). Kevin was always supportive no matter what idea I asked him about and anytime I needed a mentor or judge he was always there to help and offer advice to the community. I will look to the sky and tell you how much you are missed my friend. My thoughts and prayers go out to their families. So heartbroken and shocked. A big loss for everyone who has known, learned from, been mentored by, laughed and philosophized with Kevin. May he and Karen rest in peace, and may each of you as Kevin's family and friends find peace in your hearts. I am beyond shocked and also saddened beyond belief. Along with Xander, I ask anyone to provide more information. I send prayers, blessings and love to their family. The world has lost a great voice for justice and a great spirit. They will be missed. I am shocked and saddened beyond belief...struggling to believe this is real. Can someone give me more information? Prayers and blessings both of their families, our community and our world is smaller for this loss. Keenan , our heart goes out to you! Kevin Johansen made a huge impact on the community and on the Rockies Venture Club. He founded the now ten year old Angel Capital Summit and has been a mentor and aide to many. Rockies Venture Club will be honoring Kevin's life with the Kevin Johansen Business Catapult award - awarded to individuals who make extraordinary contributions to entrepreneurs through mentorship. Please join us at the Colorado Capital Conference Tuesday, November 15th at 5:30-7:30 to honor Kevin at the RVC awards ceremony. More info at www.coloradocapitalconference.org Kevin was particularly helpful to me as I assumed the role of RVC Executive Director. He knew virtually everyone in the community and was willing to share all the connections in painstaking detail. Jenny and I send our love and condolences. Way too many fond memories of Kevin and Karen to post here; not enough disk storage on the Internet. Keenan: our phone's on 24/7; call any time as you need. You probably have my phone number, but you can find me on Facebook or LinkedIn. Our love to you. Kevin exuded excitement beyond measure for the entrepreneurial spirit - and his love for Karen and Keenan. So many of us are grateful for his belief in our visions and mutual respect for what is possible to make a difference in our world. Keenen and family, we are so very sorry for your loss. Are hearts are very sad with this devastating news. Sending hugs, light and love, and healing. I spent more hours than I can tell you working with Kevin the past 3 years. He was a great mentor and friend to me and will be missed.